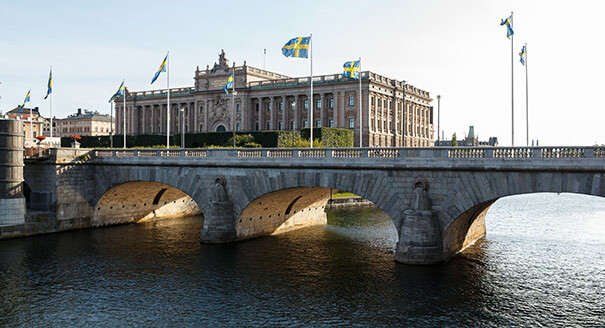 Summary: With the election of a new prime minister and parliament in September, Sweden is working to make sure its polls are free from hacking and interference. As campaigning intensified in the French election, the team of now President Emmanuel Macron said it was a target for “fake news” by Russian media and the victim of “hundreds if not thousands” of cyber-attacks from inside Russia. In Washington, sanctions were recently imposed on 19 Russians accused of interference in the 2016 US election and “destructive” cyber-attacks. While the Kremlin denies interfering in foreign elections – with Vladimir Putin saying there is “nothing to discuss” – concerns remain. In 2014, it moved further from its historic position of neutrality to officially become an “enhanced partner” of Nato, which considers Russia’s annexation of Crimea to be illegal. A study by researchers at the Swedish Institute of International Affairs reported a “wide array” of Russian actions to influence public opinion. It suggested there had been misleading media reports and that fake news was being used to “frame Nato as an aggressor and military threat, the EU as in terminal decline, and Russia as under siege from hostile Western governments”. Sweden’s approach involves government working with the private sector, social media companies, broadcasters and newspapers. A “Facebook hotline” has been created to allow officials to quickly report fake Swedish government Facebook pages. Facebook itself has pledged to report suspicious behaviour around the election to Swedish authorities. Some 7,000 government officials have received basic training in spotting “influence operations” and how they could put the elections at risk. Prime Minister Stefan Lofven has called attempts to meddle in the elections “completely unacceptable” and has pledged to expose them “without mercy”. During Europe’s “super election year” of 2017, the governments of the Netherlands, France and Germany all made significant efforts to protect themselves. Despite the hack of the German parliament in 2015, no significant attempts to interfere in the country’s September 2017 elections were reported. Other countries have warned Russia against election meddling, with UK Prime Minister Theresa May arguing that it was trying to “undermine free societies” by “planting fake stories”. The world will be watching to see whether Sweden’s tactics work and what can be learned from them.